Today’s cordless stick vacuums have advanced enormously in recent years. 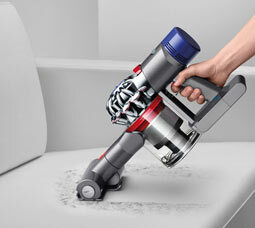 Dyson has been at the forefront of cordless technology by introducing cyclonic technology, smaller more efficient digital motors, advanced accessories, and more powerful suction. 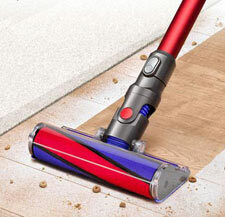 In cordless vacuums, Dyson although pricier is the undisputed leader in the field with top reviews. These newer cordless vacuums have the power of an upright vacuum, but without the hassle of a cord, and weigh under 6 lbs. 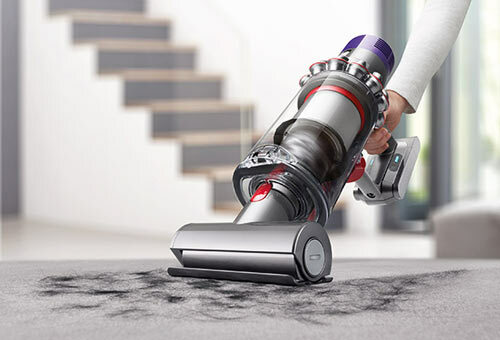 Dyson has swept most of our BEST of 2018 & 2019 awards in the cordless cord-free vacuum category. Only the best cordless vacuums are on our site. See our top rated picks below. The upright cordless vacuum is the most popular type of vacuum cleaner. Many are referred to as “stick vacuums”. Most can be used on both carpet, as well as hardwood & tiled floors. If you are going to be vacuuming primarily carpets, this would be the type of cordless that would be best suited to that task, especially those with a motorized floor tool. Why buy a Cordless Stick Vacuum? – Cordless stick vacuums give you the convenience of not worrying where to plug-in your vacuum, or getting the cord tangled, as they rely on rechargeable batteries. A cordless vacuum can weigh less than 1/3 the weight of a standard upright vacuum and offer great convenience, and are more pleasant to use. They are low profile, so they easily fit under furniture or beds. Many have a brushroll for carpets or hard floors. Some even have a detachable hand-held vacuum for vacuuming upholstery, stairs, cars and other smaller areas. Cordless vacs don’t leave wheel marks in the carpet like heavier vacuums do. The disadvantage of a cordless vacuum is that cleaning time is limited (depends on the battery), and a smaller dirt bin. 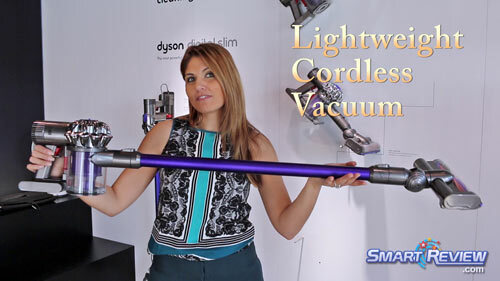 We are starting to see more powerful cordless vacuums with the power of a corded upright, like the Dyson V10 and V11 models. 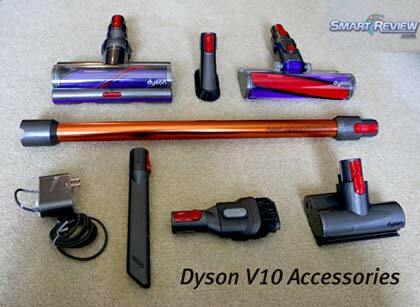 The Dyson V10 Animal and V10 Absolute HEPA Cordless Models out-clean the top selling full size corded vacuums. The Absolute models are Dyson’s first HEPA filtration Cordless Vacs for 2018-2019. Best Cordless Vacuums for Pet Hair 2019 Picking up pet hair can be a problem for underpowered and cheap cordless vacuums. You need strong suction, and if you are doing medium/high pile carpets, a cordless stick with a good motorized beater brush is required. 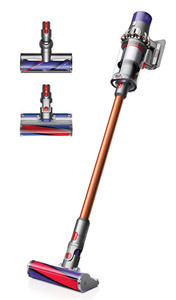 Dyson Animal and Absolute cordless vacuums come with a Mini Motorized Tool, with a beater bar to clean upholstery, stairs, car mats and other smaller areas of pet hair. 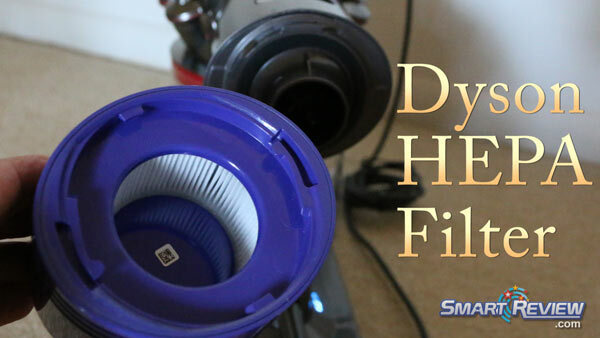 Dyson has the most powerful suction and tools to get pet hair from carpet, upholstery and your car, and has a HEPA filter in their absolute models. If you have a Cat or Dog and want a cordless vacuum with the power to pick up the dog hair or cat fur, see our selections below. Cordless Vacuum with HEPA – A HEPA filter is the strongest and best type of filtration available on a vacuum. It can filter out tiny particles of dirt, dust and pet hair, preventing you from breathing in what you are vacuuming. HEPA stands for (High Efficiency Particulate Air). The HEPA standard removes 99.97% of all particles 0.3 microns or larger. 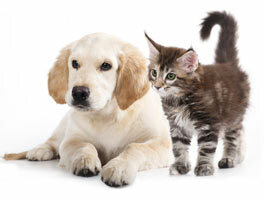 This is important for those with pets or allergies. Dyson has the only cordless vacuums with HEPA filtration in its Absolute cordless models. Lightweight Cordless Vacuums – One of the appeals of a cordless vacuum aside from no cords, is their light weight. A lightweight vacuum is much easier to maneuver, and move over your floors and carpets, and is easier to carry up stairs. They are a dream to use. Many cordless vacuums weigh less than 1/3 of a corded upright. Listed below are the top cordless vacuums, listed by weight. Hardwood floors are susceptible to scratching, so it is important that your vacuum have non marking rubber wheels. Strong suction is required for hardwood floors. A rolling rolling beater brush can assist vacuuming hardwood floors, although it might scatter dirt and dust. 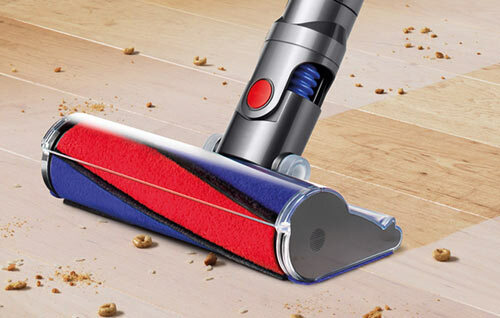 Dyson has solved this problem by inventing the Fluffy Roller Tool, which traps the dirt, dust, and even large particles. The fluffy tool prevents snowplowing, where large particles (like dog food) gets pushed out of the way instead of being sucked up into the vacuum. Strong suction is essential for getting dirt and dust between floor boards. This advice also is applicable to tile, and other bare floors. Carpets require strong suction, and a strong motorized beater bar. Cordless vacuums have the advantage of being low profile, to get under furniture and beds. 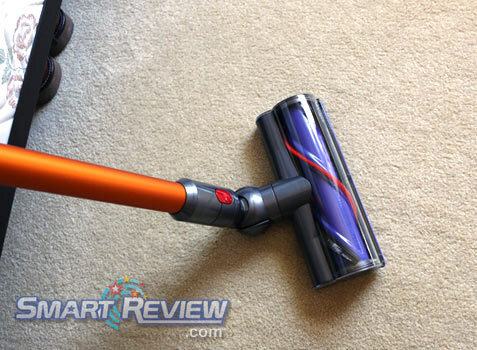 The cordless is lightweight, which means that it won’t leave wheel marks in the carpet like heavier vacuums. The cordless stick vacuum will give the carpet a nice finished look. Dyson vacuums have the most suction power and the highest power motorized carpet floor tool, which we have tested on carpet. Cordless Vacuums with LCD Status Screen – Dyson has done it again, as the innovator in cordless vacuums, it has introduced a very useful LCD screen on its latest V11 Torque Drive Vacuum. The LCD screen will allow you to easily toggle between modes, and give you estimated battery life in each mode. When plugged in for charging, the status screen will let you know % of the battery is charged. While vacuuming a countdown timer displays to let you see how much time is left. The screen will also alert you to clogs, and maintenance issues, like cleaning the filter. Many Cordless Vacuums are very Noisy. Quiet Cordless Vacuums – Many cordless vacuums are quite noisy, as their little motors spin at a high rate of speed, and emit high pitched sound. We have tested out the Dyson V8 & V10 models which claims to be 50% quieter than their V6 models and can attest to them being much quieter and pleasant to use. 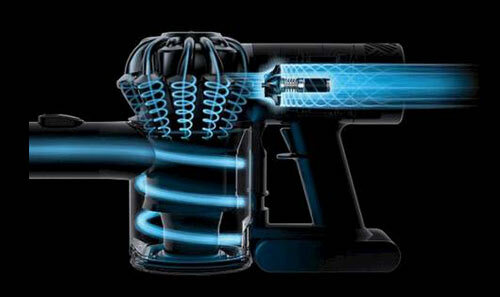 The Dyson V7 models also run as quiet as the V8 models, and the V10 model is quiet as well. If you want a cordless that is quieter, go with these models. 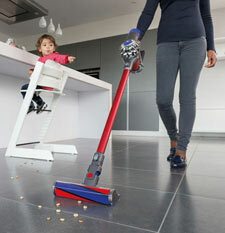 Handheld cordless vacuum – A handheld vacuum, such as a dustbuster is used to clean small messes, or areas. Many of the stick type cordless vacuums will have a detachable handheld, and are a two in one type vacuum. Below is a comparison of Handheld vacuums. Cordless Battery Life – One of the limitations of cordless vacuums is that they run on batteries. But this also allows the most valued feature, to be cordless. Some cordless vacuums have a 10 minute battery cleaning time, while others can be up to 40 minutes on one charge. Battery chemistry can also be different. Lithium ion is considered the best and can carry more charge for the same weight (and charges faster), while Nicad and Nickel Metal Hydride are in cheaper vacs. All of our top picks below use the best battery chemistry which is Lithium ion. The runtimes are the longest listed by the manufacturer and may be suction only in their low setting. Battery times are reduced when using a motorized floor tool. Dust Bin Size – Most cordless vacuums are bagless, and have dust bins that are smaller than a full size vacuum, so must be emptied more often. Cordless Vacuum with Cyclonic Action – Older cordless vacuums had straight suction with a filter. This caused suction to reduce substantially as the filter got clogged. Dyson invented cyclonic action for vacuums, which creates cyclones which keep the dirt in the bin and away from the filter. This feature allows suction to remain strong, even while the bin is filling up with dust, dirt, and pet hair. The filter rarely gets clogged, and suction remains strong. This is one of the most important cordless features, as it is a real hassle to have to clean a filter after only a few vacuum sessions. Robot Cordless Vacuum Cleaners – Robotic vacuum cleaners are another form of cordless vacuums. Robotic vacuum cleaners clean your floors or carpets automatically with the press of the button. Intelligent software and sensors keep these vacuums from getting trapped in corners, or going over stairs. Some robot vacuums come with remote controls, and can be programmed to clean when you are at work. Many robotic vacuums return to their charging station automatically after vacuuming. 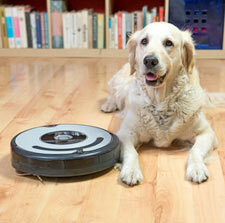 Some robot vacuums designed for pets, come with HEPA air filters. The iRobot brand is the best selling robot vacuum. These are popular gift items. The vacuum head of a cordless vacuum can either use straight suction, or if so equipped use a rotating brush head. The rotating brush head is best used for vacuuming carpets. Dyson has developed a brush that can be used on both hardwood & tile floors (using soft carbon fibers), and carpets (using nylon bristles). Cordless Vacuum Accessories & Attachments – Some cordless stick vacuums include a crevice tool (for tight spaces), dusting brush, and upholstery tool (for removing dust from upholstery, curtains, and other fabrics). 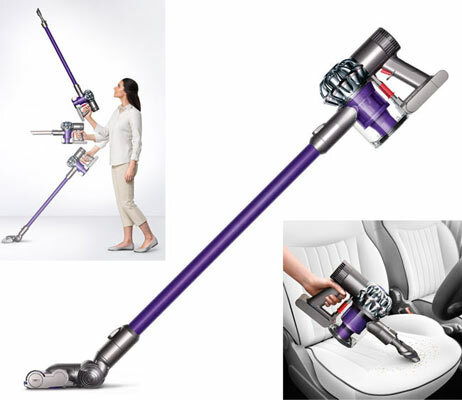 Higher end cordless vacuums like Dyson’s top models come standard with floor tools, a handheld motorized tool, and many other tools to get smaller areas, like couches, stairs, cars. Cheap Cordless Vacuums – Although initially looking like a bargain, we have found many of the cheaper priced cordless vacuums don’t last long, don’t have strong suction, have poor consumer reviews, are made with inferior plastics/metals, are improperly sealed and smell when vacuuming. Because these cheap cordless vacs do not have cyclonic action, the filter on these cheaper cordless vacuums gets clogged more easily as well, and must be cleaned often which is a real hassle. Cordless with Detachable Handheld – Some cordless stick and upright vacuums have a detachable handheld. So in effect they are a two in one cordless vacuum. This is very useful as you can vacuum any floor surface, carpets, hard floors, tile, dust your furniture, clean your car, seats, upholstery, and pet hair from just about anywhere. It can also be an advantage to break down the stick vacuum for storage, or for charging. All Dyson cordless stick vacuums have a detachable handheld with full cyclonic action. Certified Asthma and Allergy Friendly – Only Dyson cordless vacuums were certified by the AAFF Foundation in the cordless category. 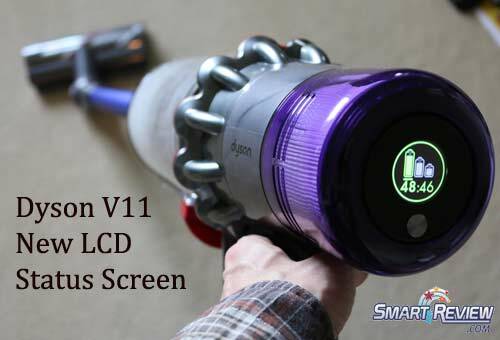 The certified models covered by SmartReview.com include the Dyson V10 Absolute, and the Dyson V7 Animal vacuums. All of these models have Whole machine HEPA filtration. Vacuum Ratings and Reviews – Many vacuums get poor consumer ratings. This is either the result of poor design, short longevity, poor filtration, and sometimes a burning smell/bad noise while operating. In the universe of cordless vacuums, the Dyson brand stands out for us. 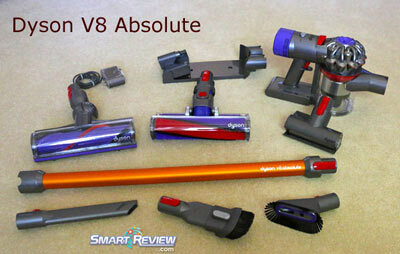 Dyson V7, V10 & V11 Cordless Vacuums have consistently received extremely high consumer ratings. The reason is superior design, and quality of materials. Dyson vacuums have unique design features that others do not have. For 2018-2019 Dyson has introduced its best V10 cordless. The V10 has the strongest suction of any cordless vacuum. This new model has the new stronger V10 motor, 20% more suction, extended up to 60 minute battery life per charge, a 42% larger dust bin (than the V8), a new dust ejector system, bigger battery with indicators, has high end accessories, and is 50% quieter than older models.